MOTOR SPORT fans are getting all set for the Bahrain International Circuit’s first major international event of the 2018/2019 racing season. The Bapco Bahrain GT Festival will feature three categories, headlined by the all-new FIA GT Nations Cup. The other two are the SRO GT4 World Final and the Bahrain Classic Challenge. All three race classes are being hosted in Bahrain for the first time and each will contest multiple races, with some competing under the lights, on November 30 and December 1, in Sakhir. The FIA GT Nations Cup is an all-new championship sanctioned by the International Automobile Federation (FIA). It features drivers from across the globe in two-man crews representing their home nation. There is one car entered per country/national motorsport authority. Two qualifying sessions will set the grid for a pair of 60-minute qualifying races – the first on Friday, the second on Saturday – which in turn decide how drivers will line up for a 60-minute main race on Saturday afternoon. 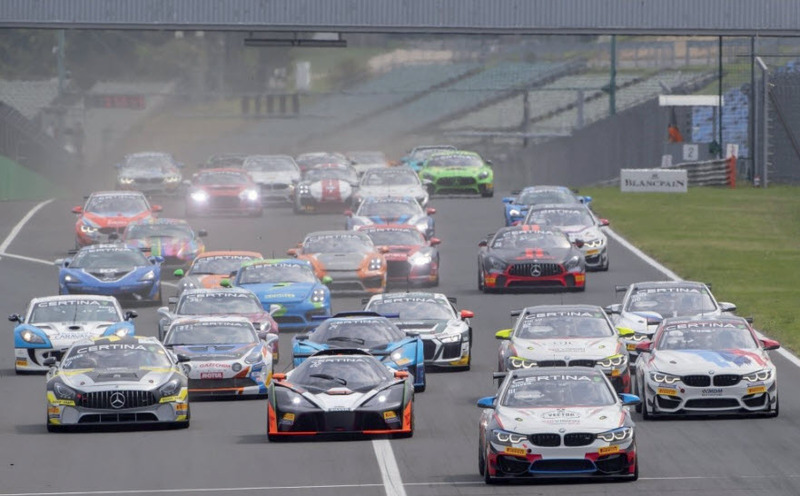 The inaugural SRO GT4 World Final will feature machinery from 12 globally relevant brands, including Aston Martin, Audi, BMW, Chevrolet, Ford, Ginetta, KTM, Maserati, McLaren, Mercedes, Nissan and Porsche. Competitors come from the 12 series either directly promoted by SRO or organised through franchise agreements around the world, including the GT4 European Series, GT4 Central European Cup, GT4 Belgian European Cup, Championnat de France FFSA GT, British GT Championship – GT4 Class, Creventic 24h Series, VLN – SP10 Class, Continental Tires IMSA Sportscar Championship – GS Class, Pirelli World Challenge GTS Class, Liqui-Moly Bathurst 12Hour, China GT Championship – GT4 Class and Australian GT Championship – GT4 Class. Teams will be battling for honours in the Pro-Am (Gold-Bronze), Silver Cup (Silver-Silver) and Am (Bronze-Bronze) classes. There will be two 60-minute qualifying races followed by a main 60-minute event, mirroring that used by the FIA GT Nations Cup. Meanwhile, fans will also be able to take a step back in time at the festival with the Bahrain Classic Challenge. Held in cooperation with Patrick Peter’s Classic Endurance Racing Series, it will feature a packed 35-car starting grid and combine iconic machines such as the Ford GT40, Porsche 910 and Ferrari 512. Usually found at Europe’s premier venues, the series makes its journey to Bahrain to add a ‘historic flavour’ to the event, organisers say. Tickets to the event will cost BD5 apiece for adults and BD2.500 for teenagers aged 13 to 17. Those aged 12 and under can attend for free. To find out more, visit bahraingp.com or call the BIC Hotline on 17450000.